The team behind Portobello Road's Honest Jon's have opened a new record shop in King's Cross. 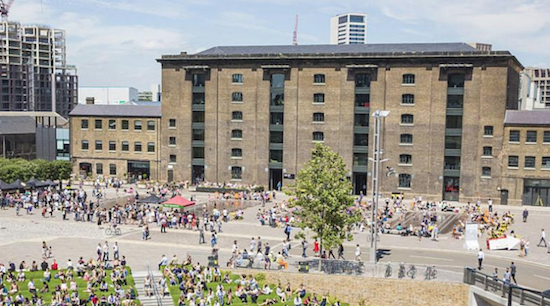 Opening in the Granary Square area of King's Cross, which has recently undergone renovation, the new second location will offer a "smaller microcosmic reflection" of the shop's main base, co-founder Alan Scholefield has told Resident Advisor. A friend who had been given the job of inviting independent shops to the area presented the idea of opening the new store to Honest Jon's. Scholefield says that the new location will offer them a chance to present more of the large amount of stock that they've built up since opening a number of decades ago. "We've got a lot of records," he told Resident Advisor, adding that "having stock was not a problem." The new shop can be found at Lower Stable Street in Coal Drops Yard and is currently in the soft-launch phase. A number of free in-store events are also planned in the coming months.